Hoy se celebra en Dana Point el Cosmic Creek 2017 presentado por Vissla. Así que todos aquellos que estéis en Los Angeles (California) o alrededores no dudéis en pasaros si queréis un finde inolvidable. 2016 will be a COSMIC endless summer through the US, Spain, Costa Rica and a few more in the southern hemisphere. These are the countries chosen for the celebration of the different Cosmic’s 2016 presented by Vissla. Retro and experimental surfboards, pure surfing, and the best soundtrack will be their common leitmotif. 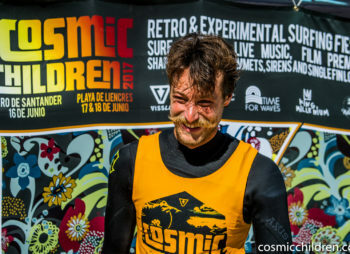 Cosmic Creek in Dana Point (California) May 22 to 23: Cosmic events will start in one of the world surfing meccas. Place inhabited by strange human beings with large aquatic skills and many hours surfing on their backs. Cosmic Children Festival, Santander & Liencres, Spain, June 17 to 19. The soul-surfing fiesta that you wouldn’t like to miss. Cosmic Hermosa, Playa Hermosa, Costa Rica, July 2. I will definetely be a Pura Vida event. 3 new Cosmic events will be celebrated this year in some pretty cosmic locations of the Southern Hemisphere. Stay tuned for further updates. In the next few days we will continue revealing some other big and juicy news.